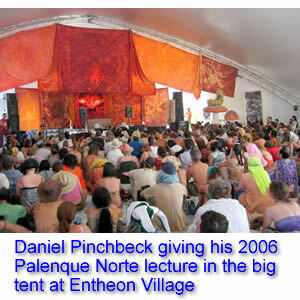 Today we feature Daniel Pinchbeck’s 2013 Palenque Norte Lecture. 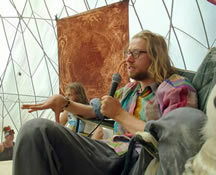 This talk/conversation took place late one night during the Burning Man Festival in the big tent at Camp Soft Landing, which hosted the annual lecture series. Prompted by questions from the audience, Daniel touches on a wide range of topics that included Rudolph Stiener, reincarnation, ecology, shamanism, mysticism, planetary crisis, morphagenic fields, and he even touches on Bitcoin. 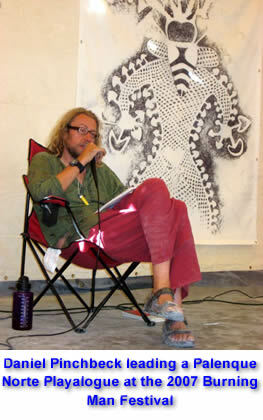 Here is Daniel Pinchbeck speaking at the Oracle Gathering in Seattle at the end of October 2006 where he discussed “meeting the other”. In this presentation he asks, are the entities met in aliens abductions, fairy stories, and psychedelic visions actual “others” or projected aspects of our own psyche? How can we understand and articulate these encounters in a meaningful way? 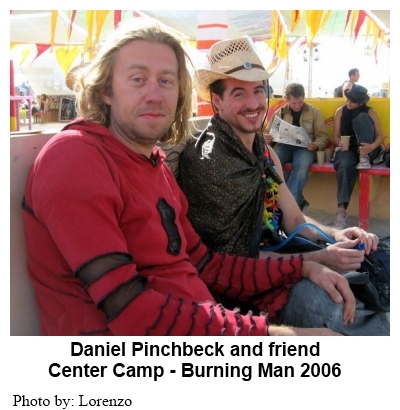 Daniel Pinchbeck brings us up to date with his current thinking about mythical cycles, the Mayan calendar, time as aquality, psychic evolution, and a wide range of other topics that he investigated while researching his new book, 2012: The Return of Quetzalcoatl. 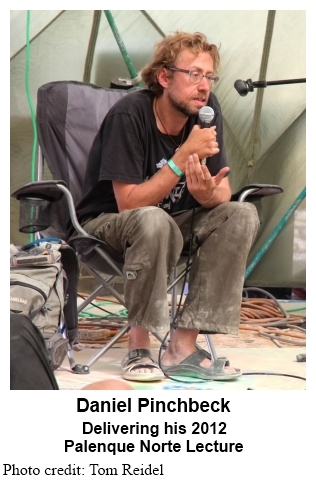 Among other things Daniel discusses in this, his 2006 Palenque Norte lecture at Burning Man, is “a massive upsurge in synchronicities” and “reality becoming more psychically malleable”. Daniel Pinchbeck explores the thesis of a “dimensional shift,” currently underway and culminating in 2012, the end-date of the Mayan Calendar. In this talk, he discusses crop circles, extraterrestrials, infraterrestrials, the likely collapse of the current socioeconomic order in the next few years, as well as the need for a new measure of time. Daniel also discussesEvolution, a new magazine and media company, currently in formation, designed to assist in the process of global healing and revisioning, offering new paradigms and tools for creating a harmonic planetary culture. 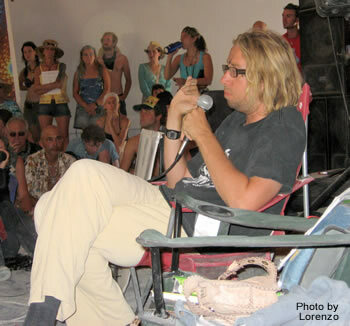 A talk by Daniel Pinchbeck at Burning Man 2003.